We grade and pack seven days a week – great for freshness and great for quality. Our vans deliver on a regular weekly basis, and if you need an extra drop during the week just give us a call and we’ll be happy to arrange it for you. The Blyth family have been producing award winning Scottish tasty fesh eggs for 60 years. Our Eggs are collected, selected and packed on the farm to maximise quality and freshness. Our Eggs can be bought throughout Fife, Tayside, Perthshire and Edinburgh. Byths Of Fife also own Kilduncan Free Range Eggs which can be bought in shops throughout Fife, Taysude, Perthshire and Edinburgh. Kilduncan Eggs have been succesful at the Scottish Egg Award for nearly a decade. Throughout our time producing eggs we have won many Scottish eggs awards over the years for our quality fresh products. The reason we are so successful is our goal of fresh quality eggs products that our customers return for. 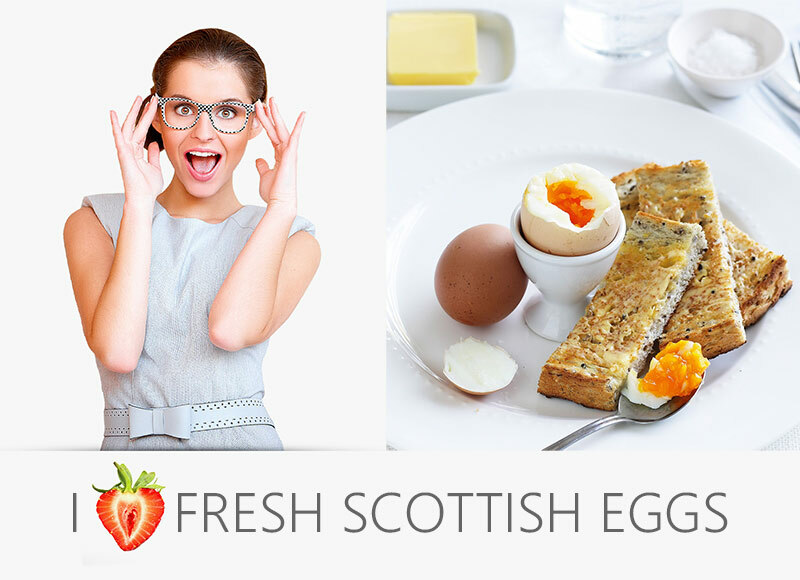 We are working with the food service industry for over 60 years and to be honest this is the best job ever - to hear positive comments when they try our tasty Scottish eggs! We have a large range of eggs and egg sizes in stock, please call for more information. Eggs contain the highest quality protein you can buy. Egg yolks are one of the few foods that are a naturally good source of Vitamin D.